The Australian visitor visa is available under subclass 600. It allows you to visit Australia for two reasons mainly: Tourism or Business. While on tour, you can enjoy your holidays, have fun and visit your family. Business activities include attending meetings, managing conferences etc. Under this visa, one cannot work and offer services in the country. Selling and purchase of goods are also banned under this visa. However, if you wish to work on a temporary basis, you can apply for another temporary work visa. This visa is available under subclass 400. If you wish to study for a short time, that is, 3 months, you can also apply for visitor visa. Therefore, the focus is upon the duration of visa, which is limited in nature. To get more information about the visa, you can contact the government department dealing with Australia visitor visa processing services. There are many features of visitor visa, which helps to differentiate it from any other type of visa. Check out the facts mentioned below to know the main differences between a normal and ETA visa. A visitor visa is available for a visitor business visits. The visa is available for up to three, six, or twelve months. 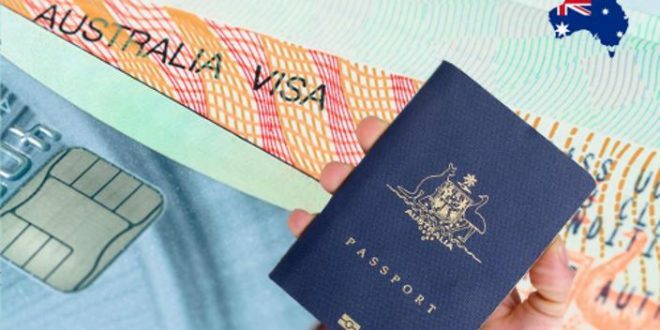 The base cost of getting a visa is around 135 Australian Dollar to 1000 Australian Dollar, depending upon the type of visa. The visitor visa is available free of cost. It comes under subclass 651. To get this visa, you must have a passport. A service charge of an Electronic Travel Authority (ETA) visa is 20 Australian Dollars. It comes under subclass 601. You need to visit Australia as a visitor only. You can also visit the country for business activities. You can also go there to meet your family and relatives. If you are in Australia, you can apply for visitor visa online. If you are outside Australia, only few passport holders can get this visa online. Visitor visa is strict in nature. There are many rules and regulations to follow while in the country. If you fail to follow the rules laid by the government, the visa can be canceled. Other than that, there are several penalties, which can be imposed on you. You cannot work on your tour period. Only limited participative work is allowed. You cannot do studies or training for more than a period of 3 months. You must not be diagnosed with Tuberculosis while traveling to Australia. If diagnosed, your entry will be banned. You must return to your home country within the time as stated on your visitor visa. If your visa is found with criminal convictions, your entry will be prohibited in the country. If you are planning to apply for a tourist visa to Australia, you need to follow all the rules and regulations clearly. A tourist visa is another subpart of visitor visa, which is easily available. You can contact your nearby visa office to get more information and apply today. How to Clean Smartphones Properly?